Euromaid is 100% Australian owned, proudly imported and marketed by Electrical Distributors Australia Pty Ltd, part of the Home Appliance Group. 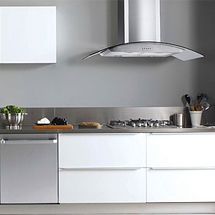 Produced in Europe, Euromaid has been supplying quality gas, electric ovens and cook tops that offer excellent features and superb quality. It’s easy to see why Australians who appreciate affordable, high quality designer products find Euromaid so appealing.